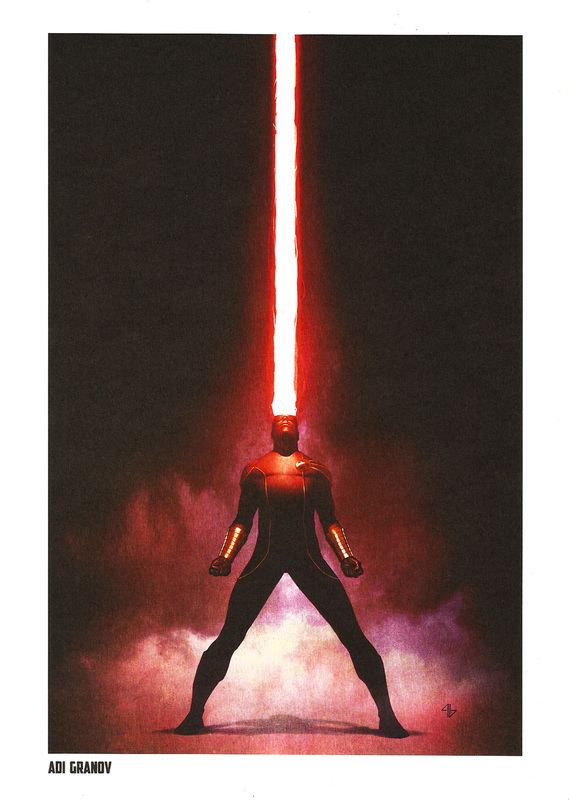 X-Men Steel Gallery Portfolio (2014) | 'TAIN'T THE MEAT… IT'S THE HUMANITY! 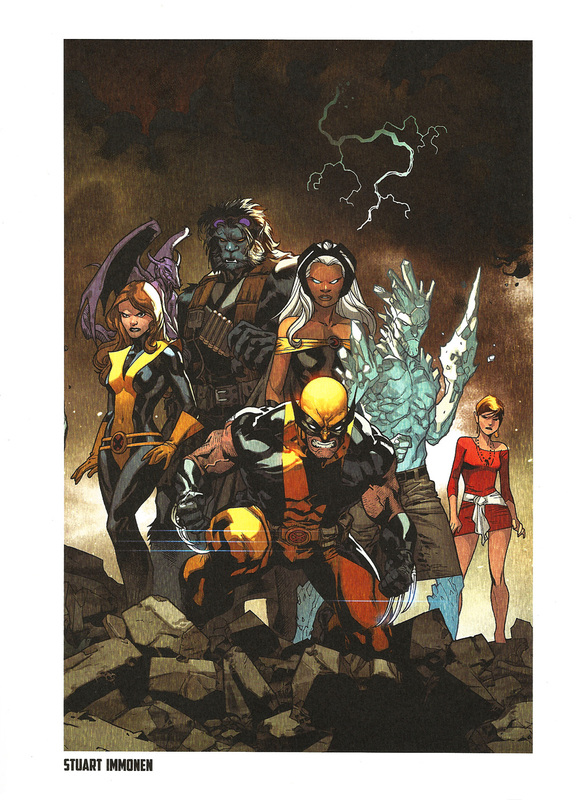 The X-Men Steel Gallery Portfolio contains 10 full-colour prints featuring Marvel Comics’ hugely popular X-Men, as interpreted by some of the mutant superhero team’s most talented artists. Released in 2014 by Paris-based publisher Semic this portfolio collection contains nine A4 (210 x 297mm) plates printed on thick watercolour stock. 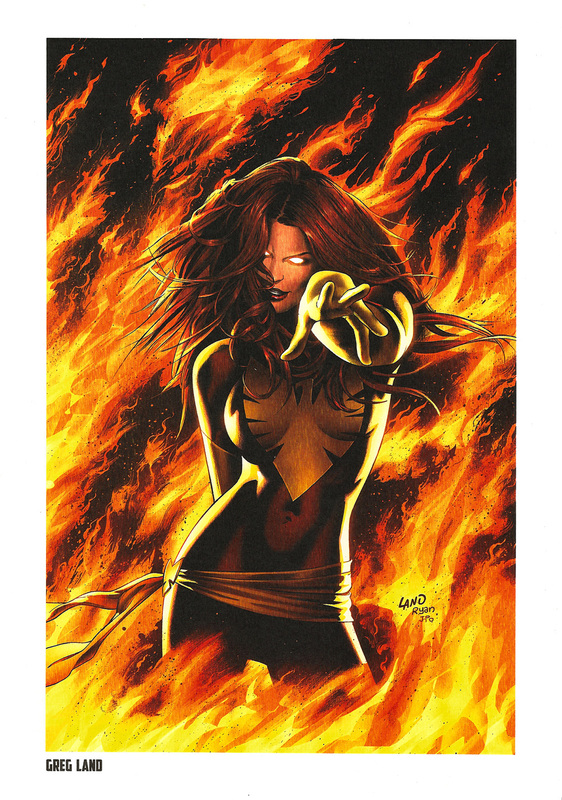 The portfolio reprints covers by some of The X-Men’s most celebrated artists: John Cassaday; Stuart Immonen; Chris Bachalo; Pablo Rivera; Olivier Coipel; Adi Granov; Greg Land; Benjamin and Jae Lee. The tenth plate (painted by Julian Tedesco) is printed on tin (hence the Steel Gallery label) and measures a slightly smaller 170 x 260mm. 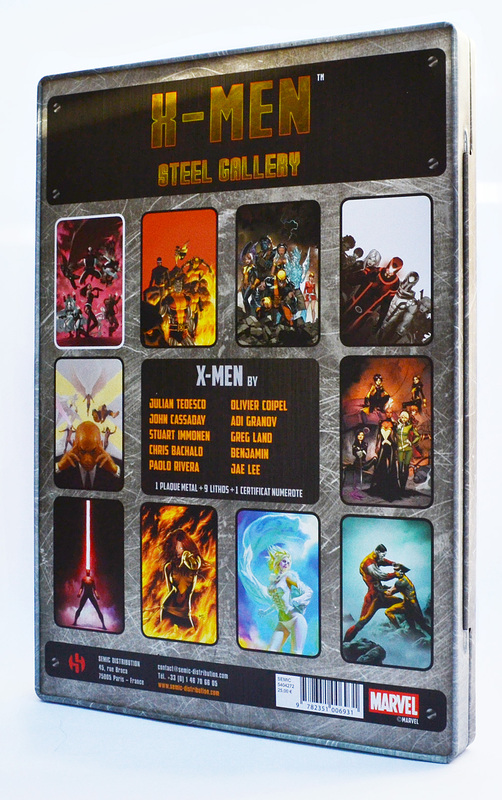 The X-Men Steel Gallery Portfolio ships in a sturdy tin measuring 220 x 310mm that also features embossing around the circular X-Men logo (a nice touch). 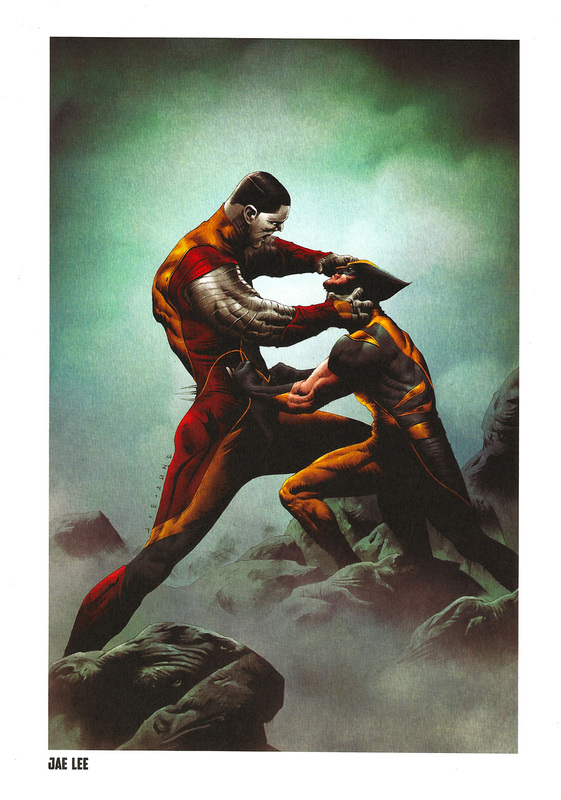 The portfolio is limited to 1,110 editions (of which this is #966) and includes a small certificate of authenticity. 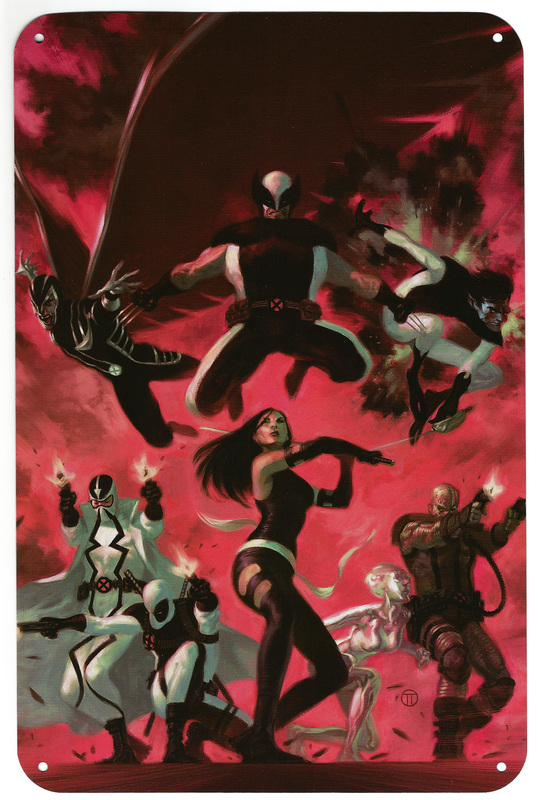 The portfolio is priced at €25 (around £18) and currently appears to be only available in Europe, so US buyer’s will have to import the set. 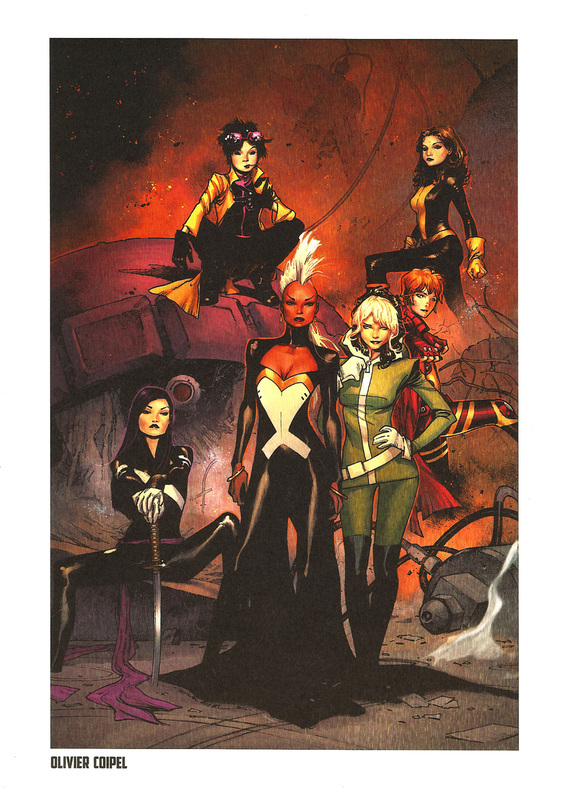 Regular reader’s of this site will know that I’m a big fan of comic book portfolios and have been collecting them for years (a small selection has already appeared on this site). Most of my collection stems from the 1970’s and 1980’s, when there was a brisk trade in portfolios, but over the last two decades I’ve noticed a steep drop-off in the number that have been released. 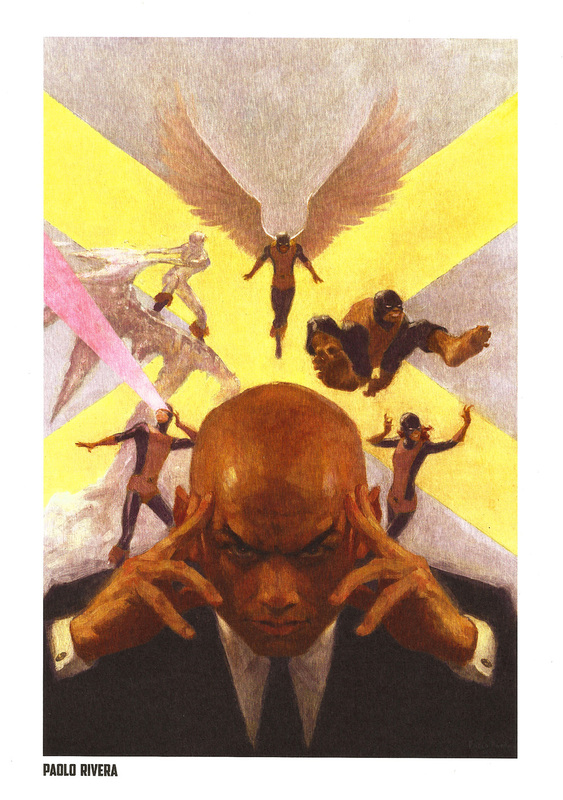 Therefore I was pleasantly surprised when I learnt of Semic’s plan to release portfolios based on Marvel characters, and I was even more surprised when I saw what a great job they’d done. 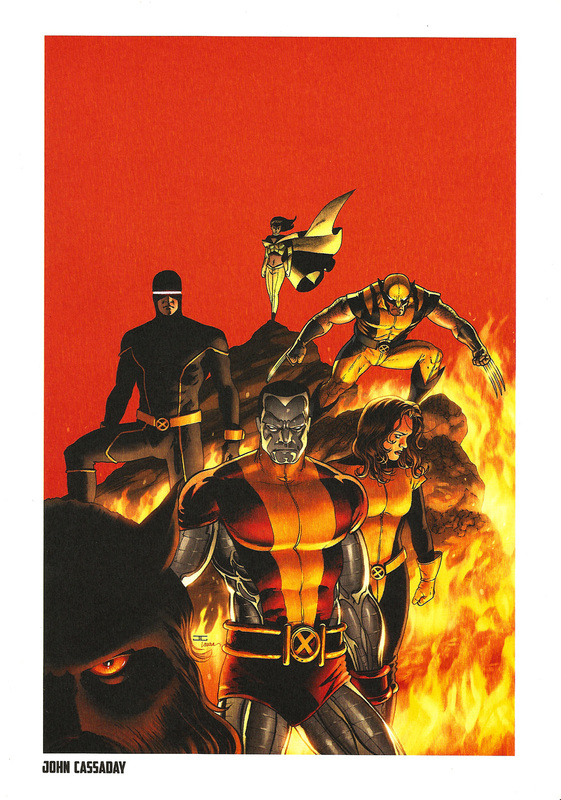 The prints are of a very high quality, aided by superior card stock that really lets the colours pop. 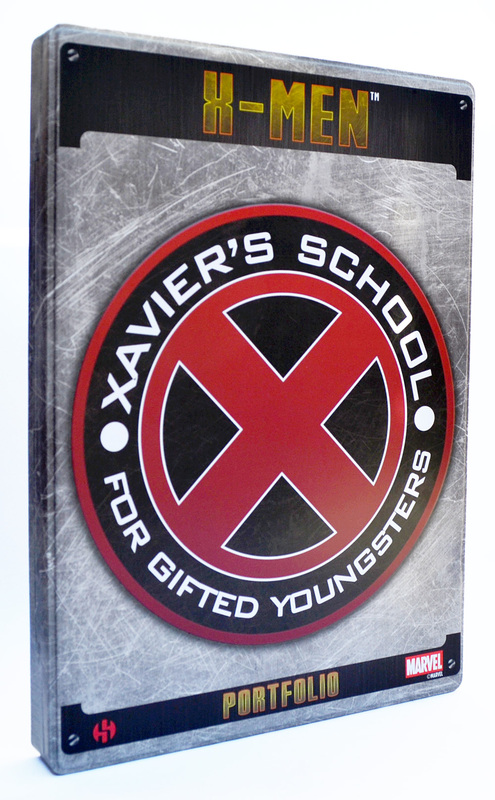 The inclusion of a tin-plated print is a nice touch and shipping the whole collection in a study tin box was an inspired decision. 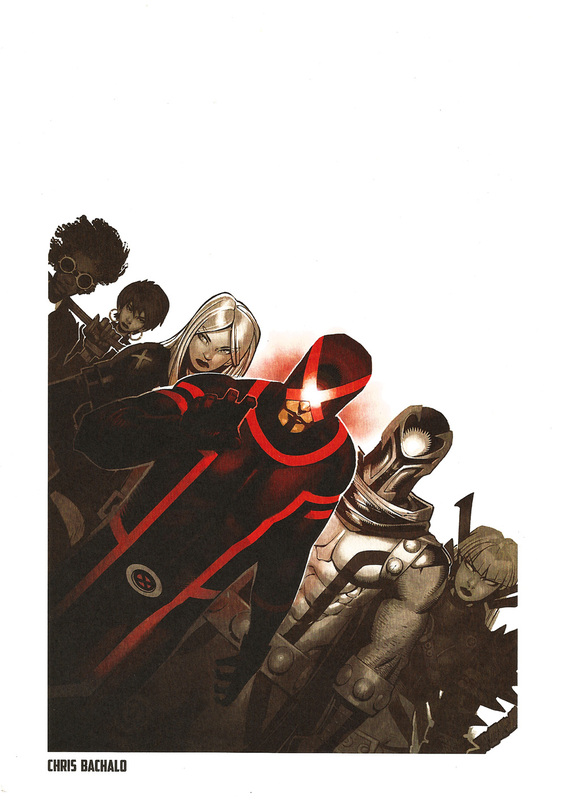 The X-Men Steel Gallery Portfolio is a terrific portfolio and a welcome addition to my collection. 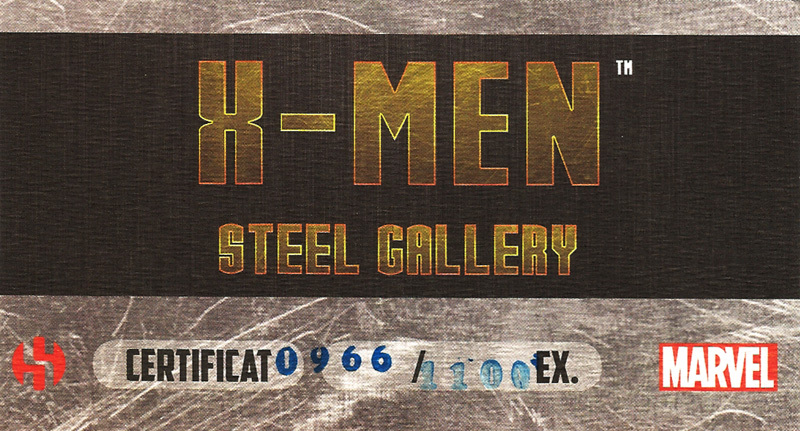 Semic have released four more portfolio sets in this Steel Gallery series – Iron Man, The Avengers, Spider-Man, and Wolverine – and I’ll be taking a closer look at all four over the next few weeks.